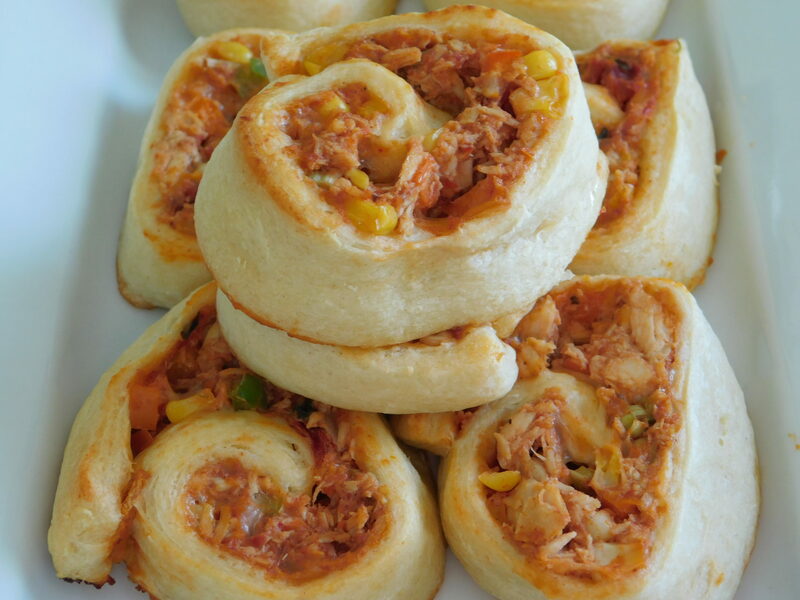 Tex mex pinwheels - Drizzle Me Skinny!Drizzle Me Skinny! 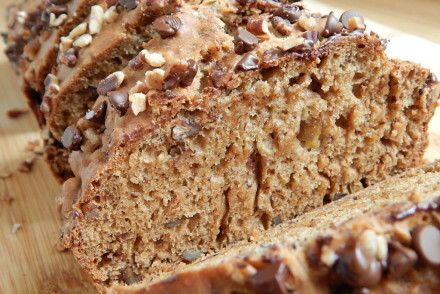 New years eve is coming up and you might be thinking what to serve your guests. With the new weight watchers freestyle program, we can definitely play around with some low point options. 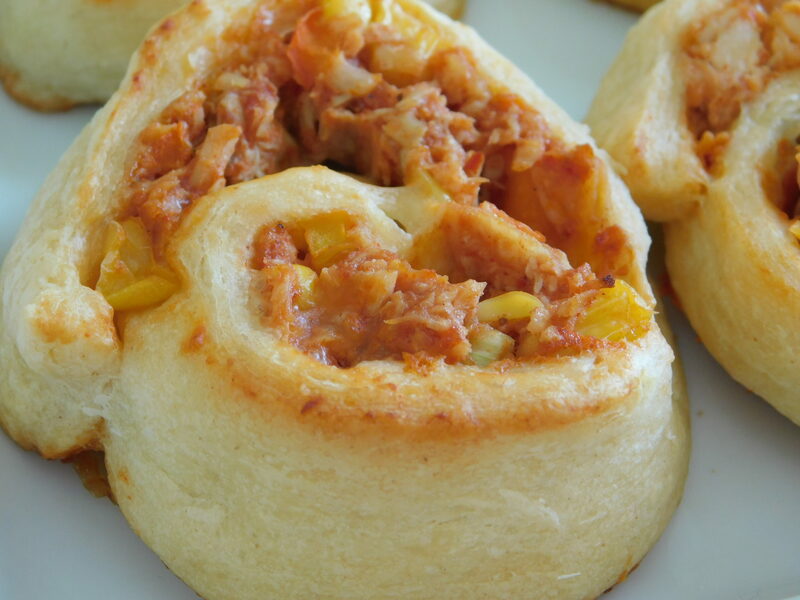 These tex mex pinwheels are so tasty and very satisfying, not to mention easy to make! Just 2 smart points each and 60 calories. In a bowl mix together your peppers, salsa, chicken, corn, green onion and chili powder. 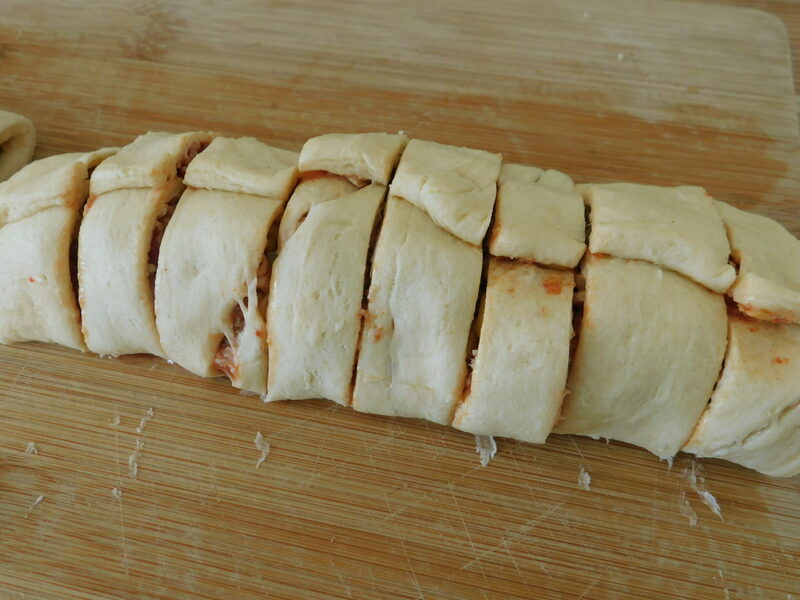 Roll out your crescent dough into two pieces of 4 crescent rolls, pinch together any seams. 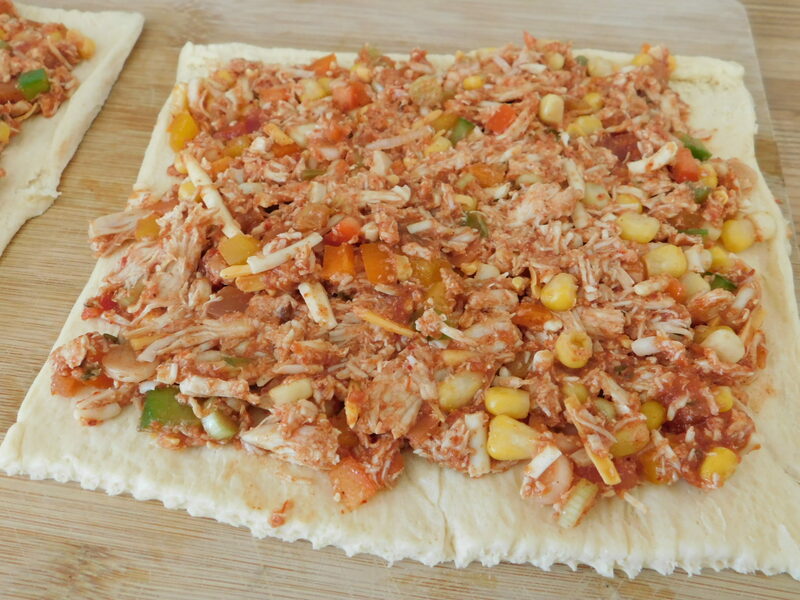 Spread your chicken mixture onto your two pieces of dough, roll the dough up and seal any openings. 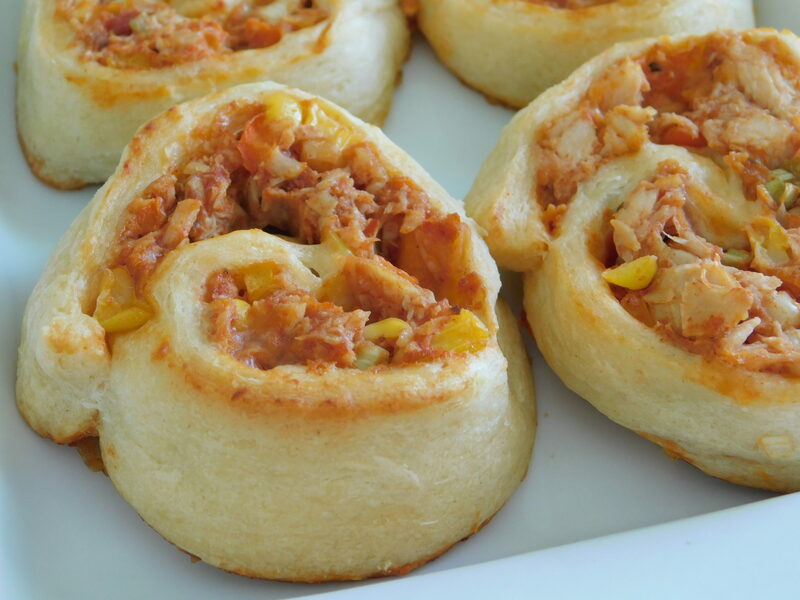 Place rolled dough in the freezer for 30 minutes, this will help when you cut them. Preheat oven to 350F and spray a large baking sheet. 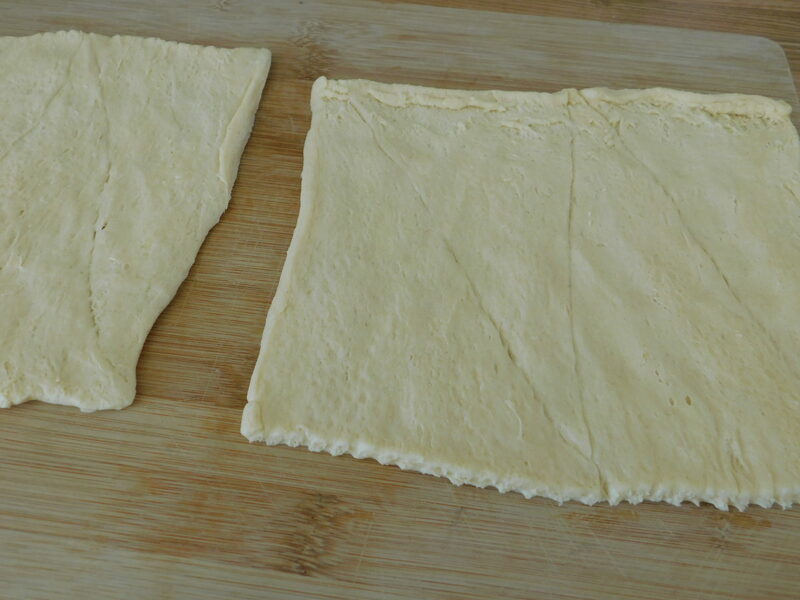 Use a serrated knife and cut each rolled dough into 8 pieces, I find it best to cut in the middle then cut each half into 4, your end pieces might not look the best and you can even just cut off a very small end piece and discard if you want. Place on baking sheet (I used a spatula to help transfer) and bake for approx 18 minutes, you want the dough a golden brown color. 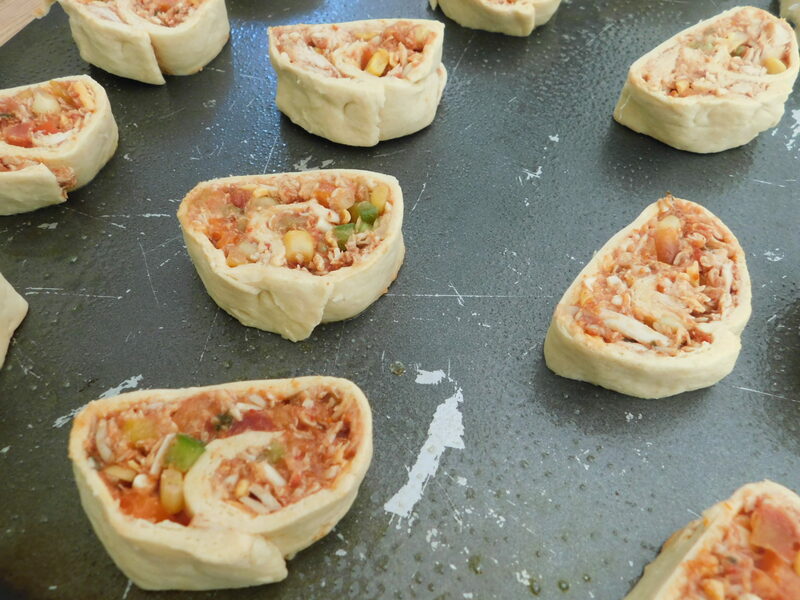 Serve warm, makes 16 pinwheels. My crescent rolls were much thinner and not as wide as yours. I used a store brand maybe that’s why. It fell apart. And I calculated it as 6 points for 1/4 of the whole thing (crescent rolls were the only thing with points and it was 24 points for the whole package so I did 4 servings). 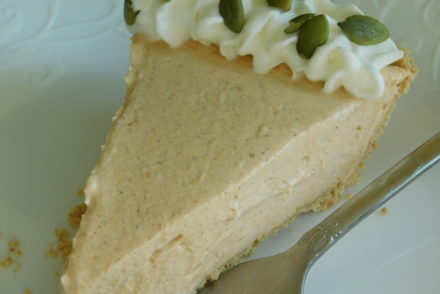 Could you make this using ground beef instead? 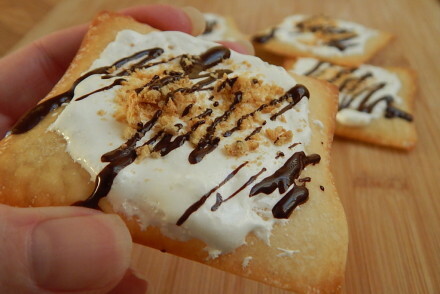 Do you think you could use the 2 ingredient dough to make these?? They look fabulous! !